Konami sure is trying. Gotta give them that. 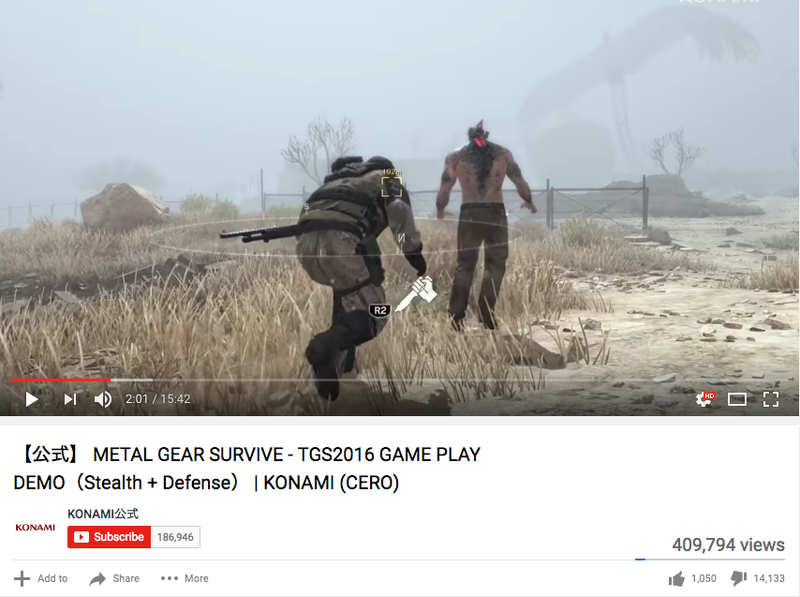 But if YouTube likes are any indication, loads of people aren’t feeling Metal Gear Survive. As Kotaku UK previously explained in great detail, Metal Gear Survive is a co-op stealth game in which you sneak up and kill zombies. During the Tokyo Game Show, Konami showed off 15 minutes of gameplay (below). The clip has racked up nearly a half a million views, over a thousand likes, and over 14,000 dislikes. Some people dig this! But lots of people aren’t exactly happy as evident by the YouTube comments and dislikes. When asked about whether or not the game was his idea, Kojima recently said that he had nothing to do with it and that the game didn’t adhere to how he saw Metal Gear.